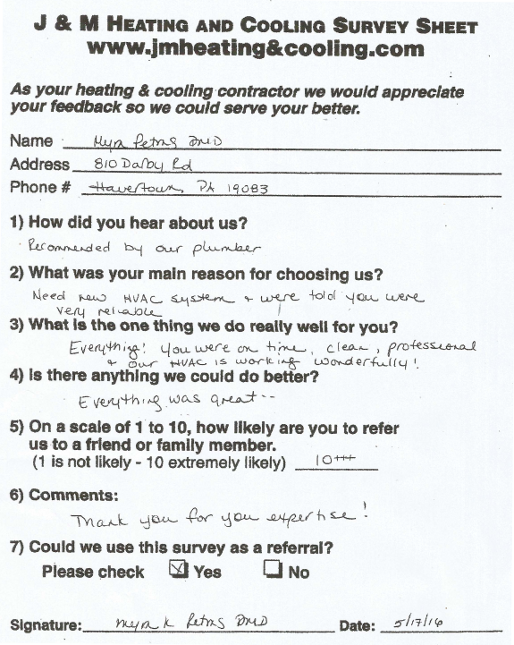 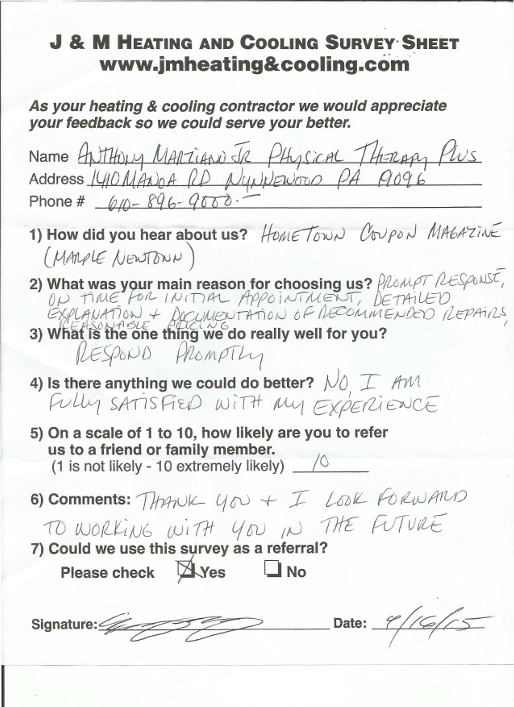 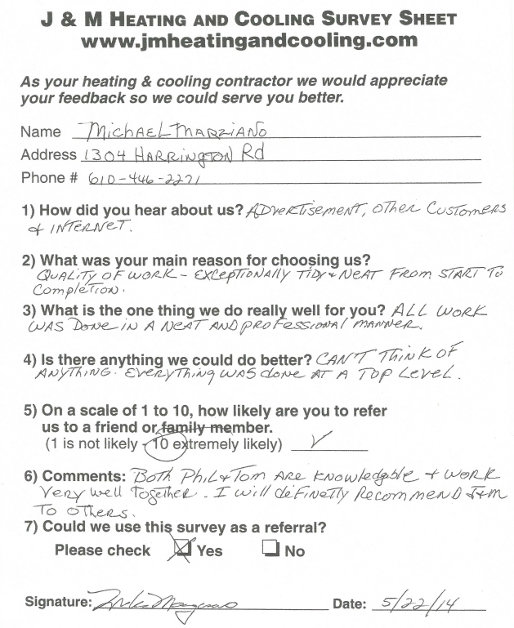 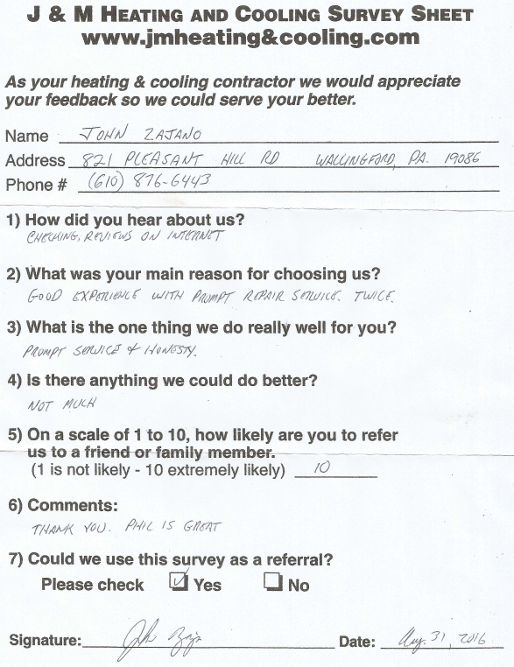 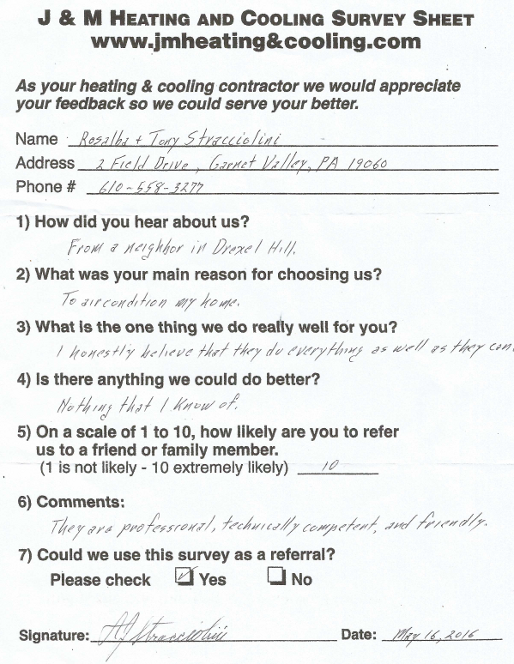 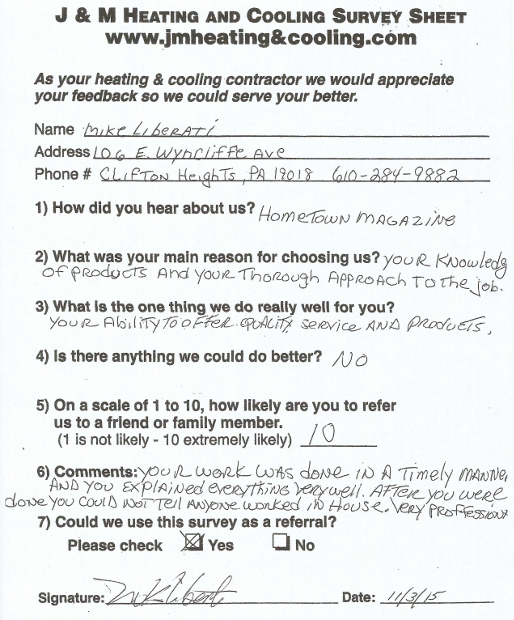 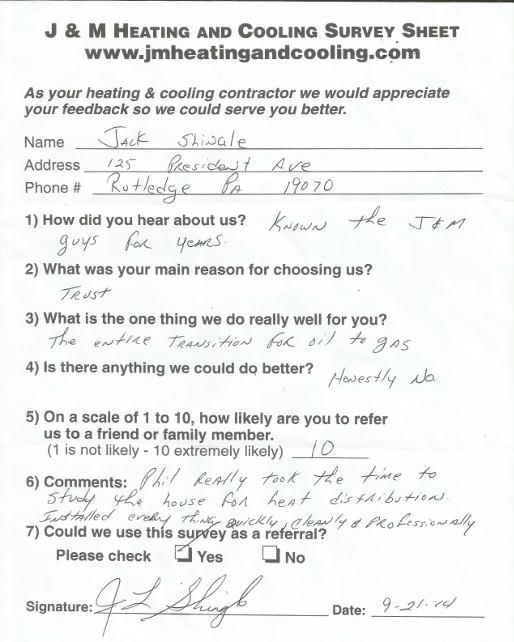 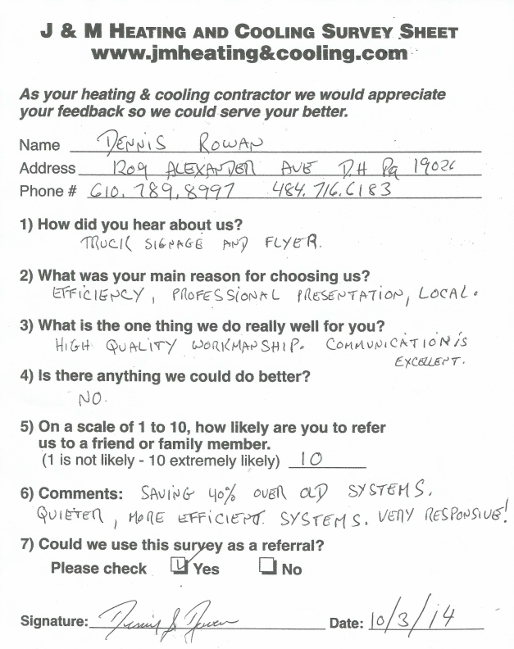 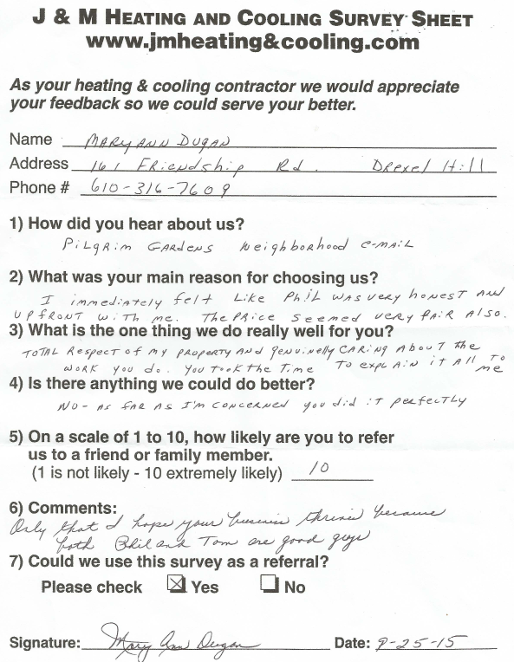 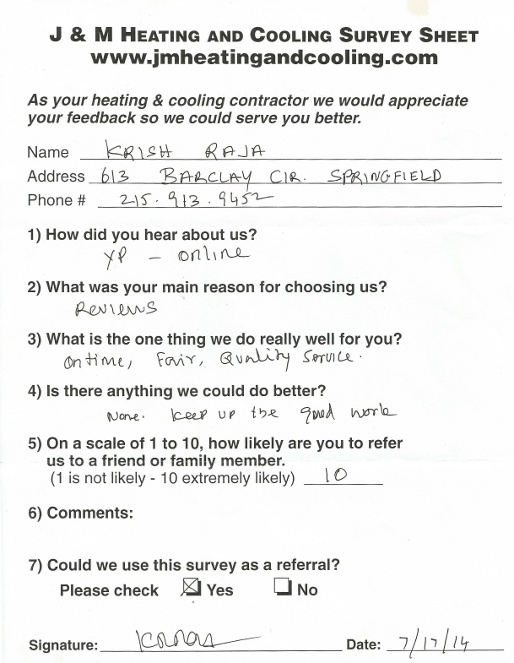 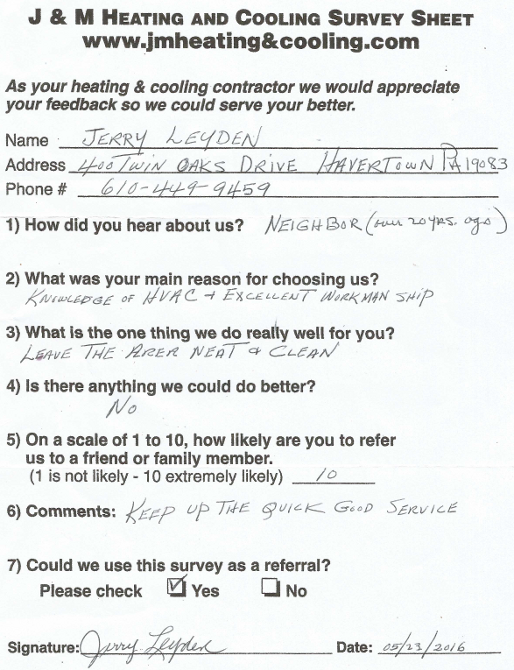 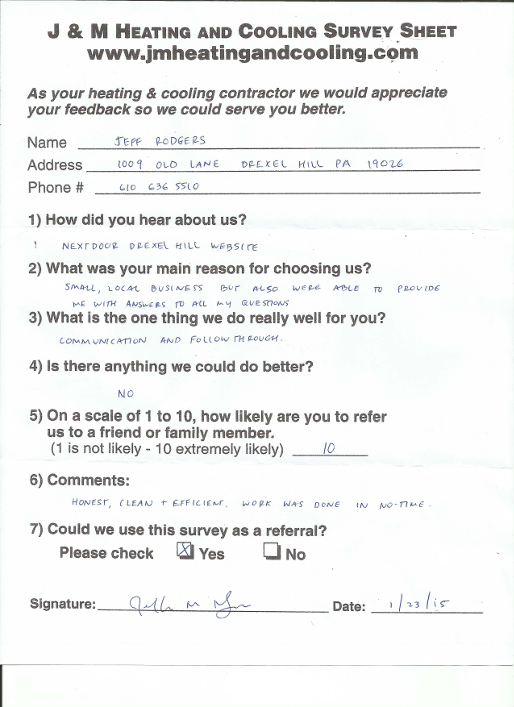 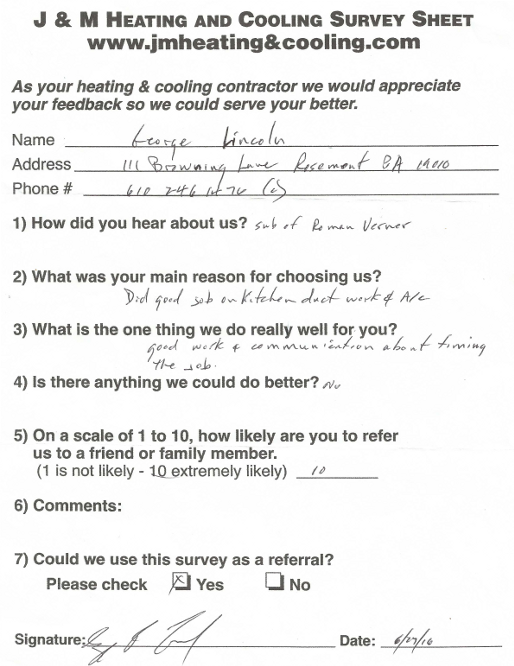 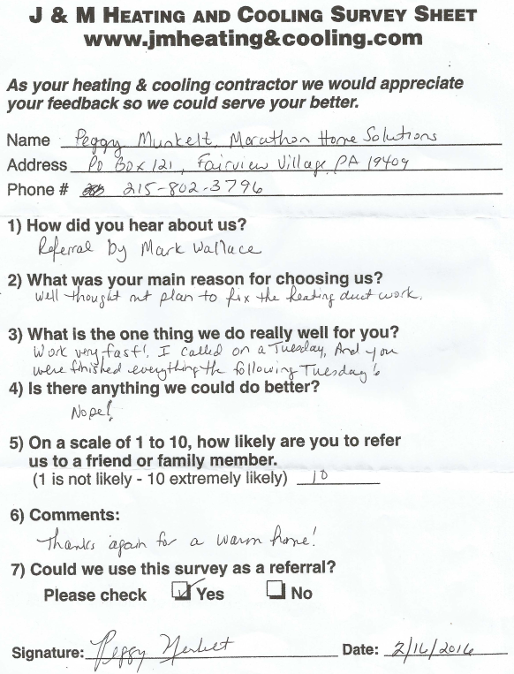 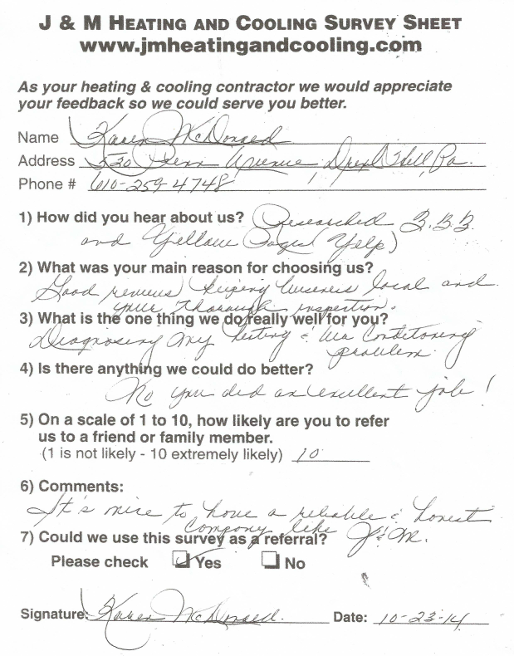 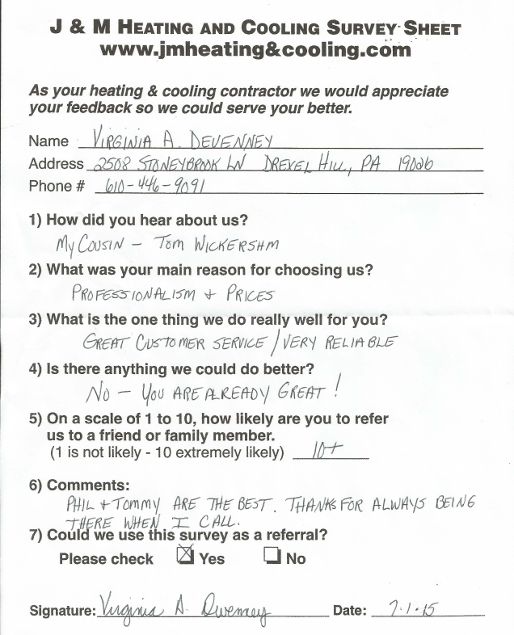 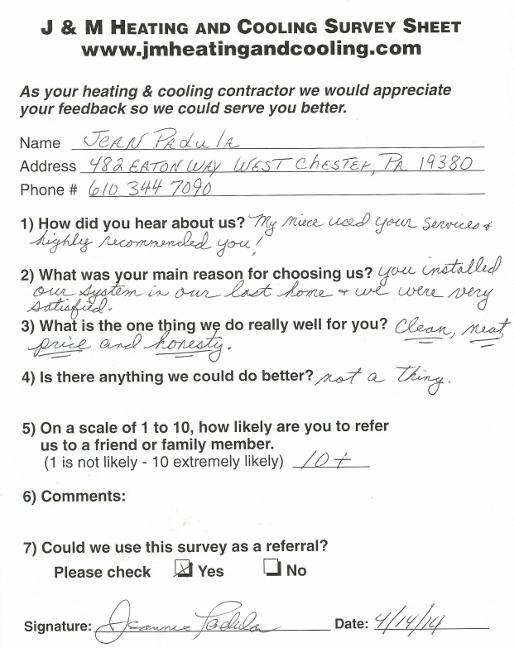 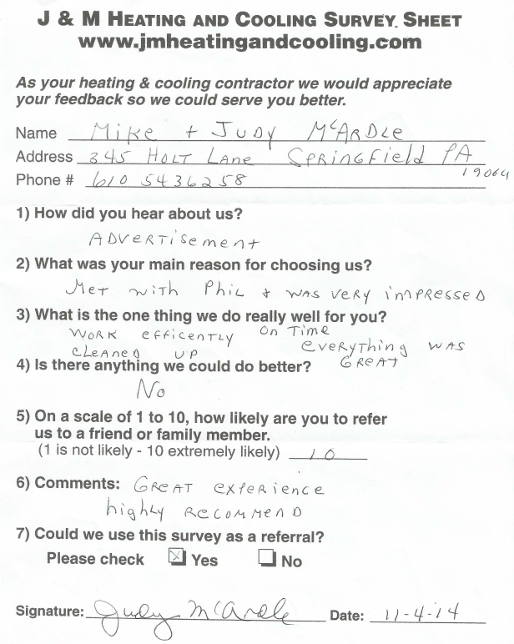 "Your company was prompt, courteous, full of knowledge on the system you installed. 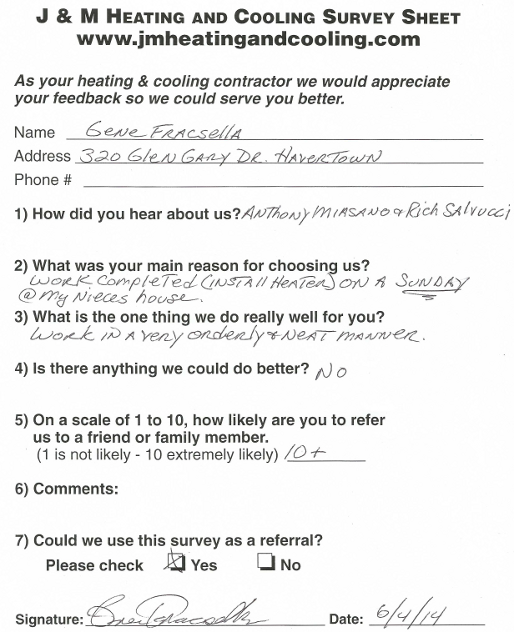 It made me feel at ease knowing the system was installed correctly." 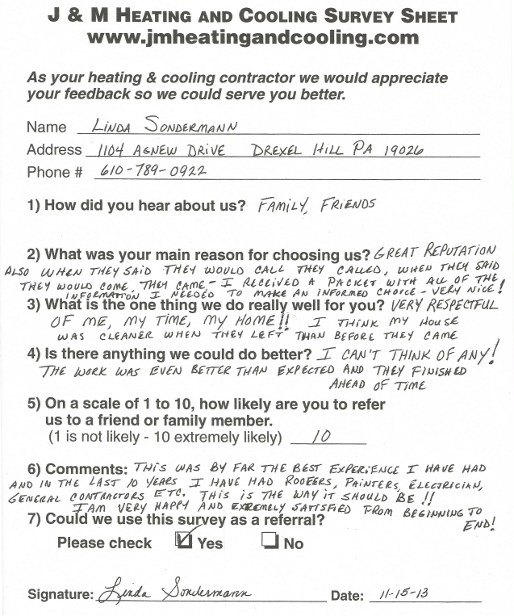 "I can't believe we actually found a company that was on time! 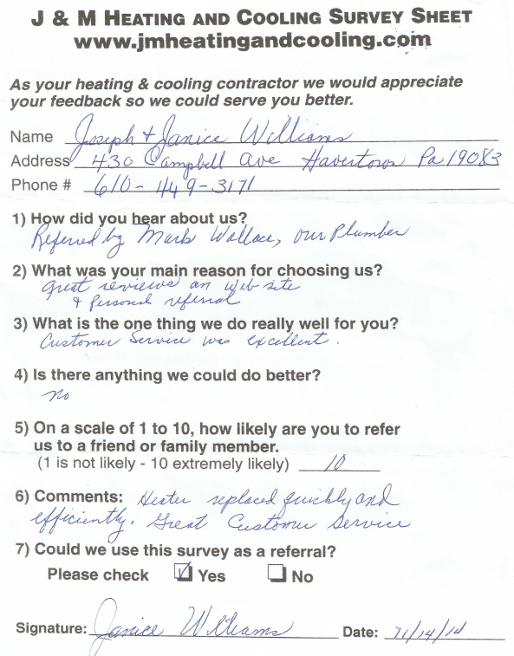 It has been a long time since we had a company that was very friendly, knew what they were doing, and respected us and our home!" 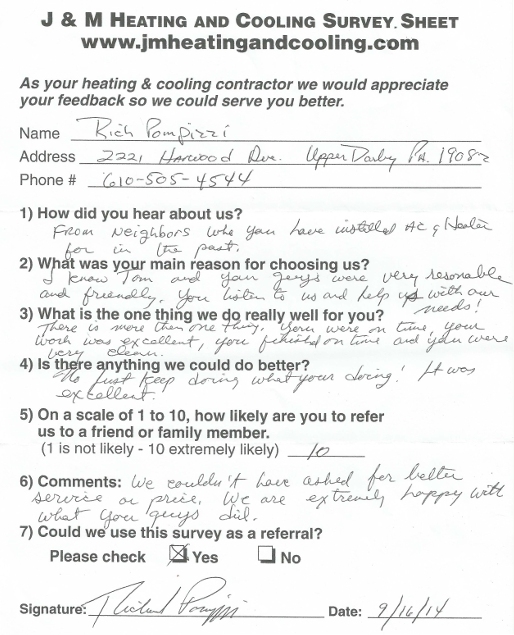 "Well I have to say, what a pleasure it was to have your company in our home. 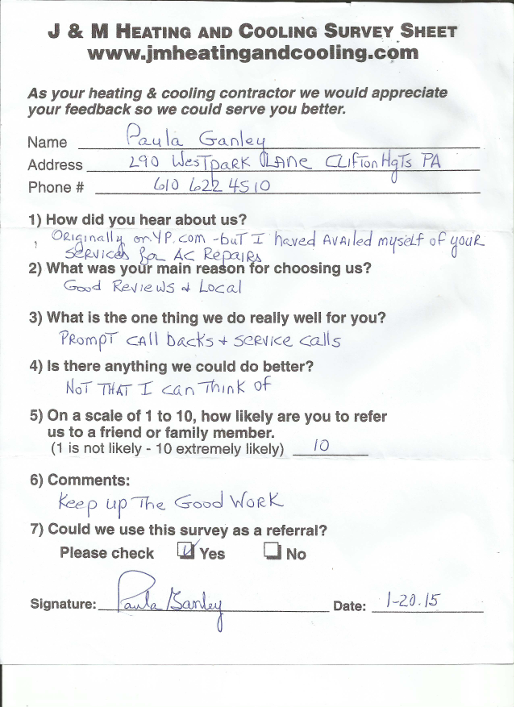 They left it cleaner than when they came! 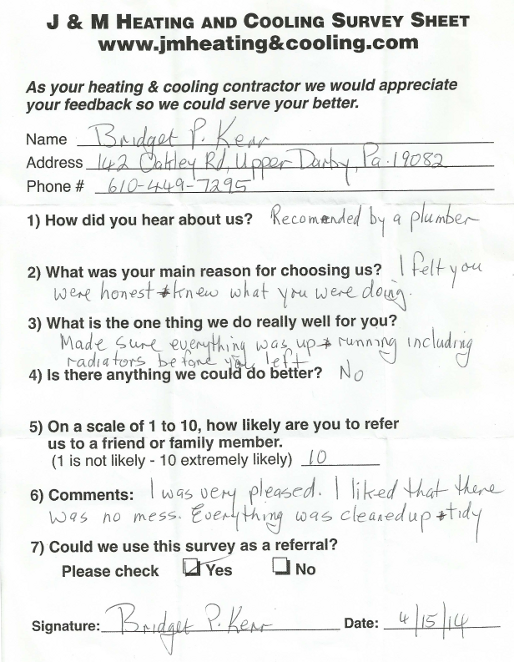 Also, we can't believe the comfort that the new system if giving us compared to our old one, and our utility bills went down by 25% to 35%!"